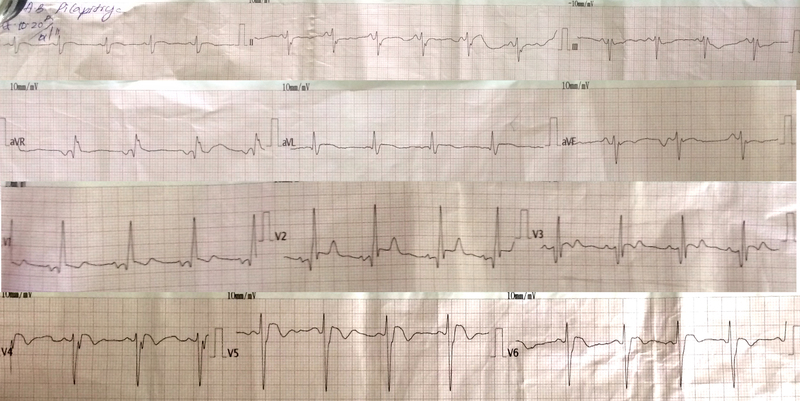 ECG #9 RVH with or without? One had chest pain, the other had COPD exacerbation. 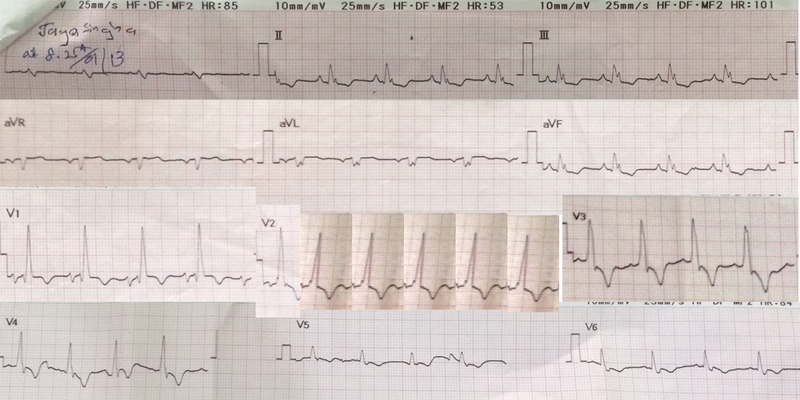 Can you pick which one had the ischaemia? The key to looking for ischaemia is knowing what the ST segments should be doing. 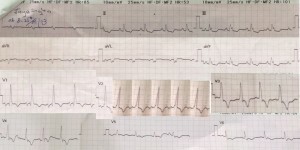 In RVH ST-T changes are opposite to the main QRS force direction. In the second ECG, you can see lots of TW inversion and sloping ST depression associated with tall R waves – this is the RVH strain patter that you see with more significant pulmonary hypertension. 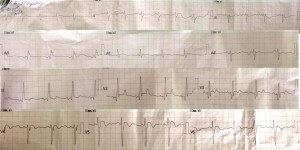 In the first ECG, the ST segments are elevated despite the R wave dominance – this is abnormal and is thus evidence of AMI. The patient became very unwell and developed cariogenic shock due to severe septal hypokinesis. This with some more experience might see the rounded appearance of the STE in V4-5 with biphasic TWs, which you often see in an infarct that is at least a few hours old. ST segment depression and T wave inversion in right precordial leads is usually seen in severe RVH such as in pulmonary stenosis and pulmonary hypertension.